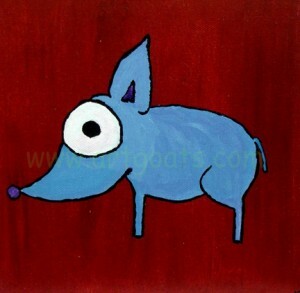 A Portrait of a pedigree Chihuahua.Original painting on wood. 8″x8″. Available at my store here.